We offer the latest styles and technology, giving you the best window tint in the Nashville area. Our mission is to help our customers feel more comfortable in their homes and vehicles by providing them with Nashville window tinting service that is second to none. 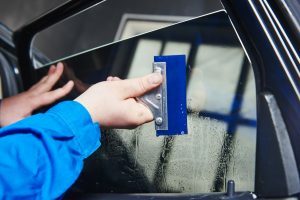 Specializing in car window tinting, we have a quality track record of satisfied customers. In business since 1999, Accu Tint has developed our reputation, one customer at a time, to become Nashville’s Top Rated Local® window film professionals. And we would like you to be next. Create a comfortable and energy-efficient environment in your workplace. Window tinting will help save money and enhance your employee’s work experience. Save money on utilities and never have to worry about a glare on your TV or computer screen again! Auto window tinting offers increased privacy, protection, and can help save money on gas. The benefits never end! Keep your vehicle looking as good as new with protection from scratches, insect stains, and more. We can protect trailers, boats, ATVs, and more.